Derelict, you’re not coming back, I mean that in the nicest way, rest almost sounds like a bittersweet parting note to Vignettes as we know it. And we know it most intimately in Sierra Stinson’s one bedroom apartment on the 4th floor of El Capitan. The series of one-night shows in this space came to an end on the night of Gretchen Bennett’s opening. We pack ourselves in the unit one last time, surrounded by the chirping of Bennett’s quiet drawings, xerox copies, and sentimental ephemera; all tacked sweetly to the walls, high and low, like little clues to a lush and secretive life. In the mix, there are faint portraits, including a large, faded xerox drawing of Angela Davis, with starburst creases, like something found and kept in the box of all your priceless notes from the past. In fact, the whole show feels that way; little treasures more important for them to be touched, moved around, repinned, carried in a pocket, to feel the full life of their influence. This feeling reverberates off the wall, when Gretchen reads aloud a poem that accompanies the show, breathing clues of their significance into the room. In this moment, I am taken back to fall of 2004, to when Sierra and I (18 and 17 years old, respectively) were meeting for the first time in Gretchen’s Foundations class at Cornish College of the Arts. It was her first time teaching at the college, and it was our very first class. She would read passages from other artists, critics, scholars, and poets, to us in the mornings. With my head usually buzzing from the anxiety of living in a new city, I remember feeling soothed then, as I do now, 13 years later. I never would have thought that I would be interviewing her today about a show curated by Sierra. But Gretchen always held us as peers, rather than students, so perhaps this is her prophecy fulfilled; or perhaps we all stayed here, in part, to hold one another up; either way I’m grateful. MKNZ: I love a good title and this show has a great title. Can you elaborate a little on the origin of this text? Gretchen: So the title, “Derelict, you’re not coming back, I mean that in the nicest way, rest” is in haiku form. And as I understand haiku, it’s giving great credence to a moment; letting the every-day be holy. And I love that. 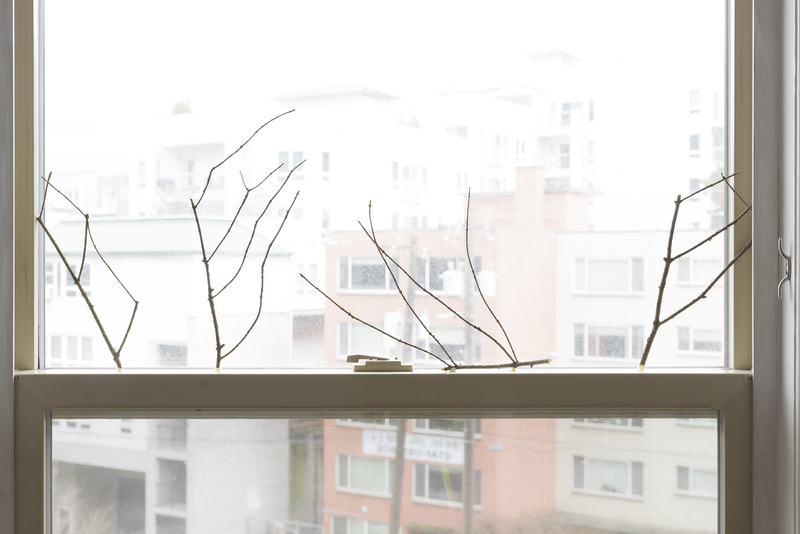 I wanted to talk about my inability to make objects; to face my inability to make objects. And I guess that is because, when my parents passed away, the objects from their house that I had lived with were suddenly gone. And that makes sense, of course, but now I have empirical knowledge of it and it just stopped me for a while. So, in order to start making objects again, I had to talk about the ones that stay with me, the ones that are beloved. They give me courage. And those happened to be the objects that were closest to me in my studio. While I was exhuming these objects, I was also asking them to go away forever, in a sense. The word “derelict” is also a word for the objects that you throw overboard a ship when it is listing and you don’t want it to sink. Unlike “jetsam”, “lagan”, or other maritime words used to describe objects thrown from a ship, “derelict” are the objects you have no hope to ever see again. M: Do you think that in the process of bringing these objects into the light for other people to observe was a process of you letting them go? G: Yes. Definitely. Sometimes literally when they are purchased and go away. And it’s also letting go in a way that’s equivalent to acceptance. Things were kind of falling apart, disintegrating, and, with the promise of reforming later, I had to let them drift. I was letting go of expectations as well. I was letting go of my persona as an artist. I actually think maybe I don’t have that persona anymore… yeah, I let that go. G: Yes. It doesn’t mean I don’t perform that persona sometimes, but when I’m performing it’s so my voice can come in louder, literally. It feels different. It feels like I’m being more myself in that moment. So yeah, the show is letting go of some things and claiming others. Maybe these objects are a threshold. 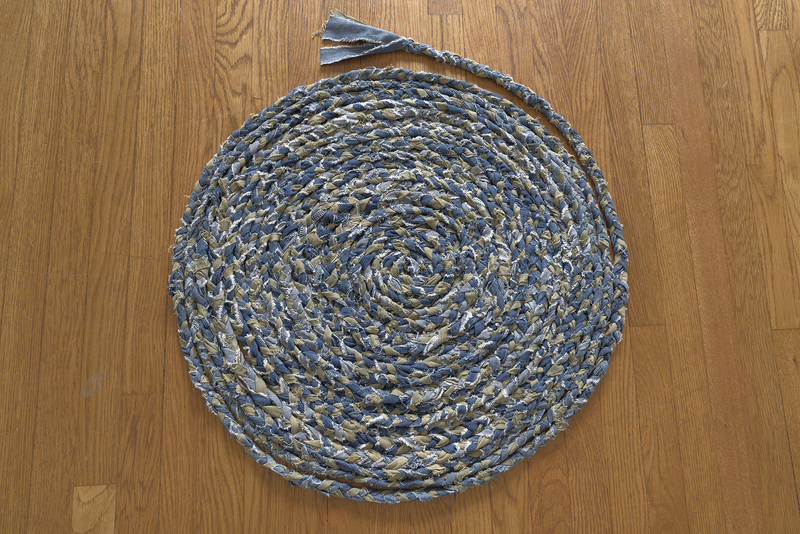 “Another Very Small Universe,” rag rug made from braided repurposed clothing from the artist and her father. M: I think sometimes we can imbue objects with a lot of meaning when we are alone with them for a long time. Sometimes letting other people see them that does this thing where it takes the air out of them a little bit. I can become so superstitious about an object, to the point where it becomes really one-dimensional. And maybe letting it out into the world can allow other people to put their own projections onto it, which makes it a little less your own, but maybe less scary. G: Yes. When someone recognizes something to the point of wanting to take it home, it’s such a relief to me. M: There is a lack of preciousness to the way you chose to exhibit these drawings. They are so delicate and fragile, but also folded, crinkled, or fingerprinted in places. This give them a feeling of age, of temporality. G: It’s interesting, right away sometimes I say that I don’t like something, that I don’t want something, and it’s a build up to wanting it or liking it. Today in the studio on my List Of Problems, I wrote, “I’m not creating drawings to comment on the act of drawing, sorry”. Both laugh. I was looking at how the photocopier draws and I wanted to collaborate with that machine, and I really became attached to the aesthetic of those shifting greys and the way they slide across the paper. I would draw in response to that relationship for a lot of the pieces. And I guess that is commentary on What Is Drawing. I think the folding, too – I had this brief conversation with Tim Cross about how a photocopy can be a real material, and that’s how you keep those objects, by folding them. 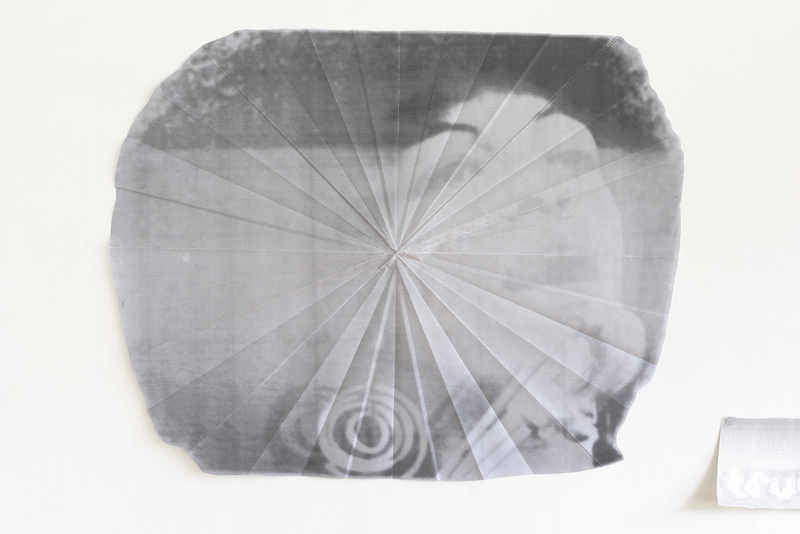 And the folds on the Angela Davis piece are this radiating starburst shape, I like that. I have this feeling that archiving is futile. Maybe that’s an adolescent thought. M: I think that’s the mature thought. The way that you’re talking about treating these drawings sounds like performance to me. You have to let go of the idea of archiving things to make a really present performance. And they sort of share that quality. You can tell that they have a lifespan, you can tell that they are going to whither away. I feel that there is something undervalued about storytelling; sharing the idea or memory of something rather than the physical thing. That’s when you start to build mythology, you know? When something passes. G: Oh that’s nice, I love that, “when something passes”. And passes is the perfect language for this body of work. Its an intersection for many meanings. I want to keep thinking about what archival is when I use that word. 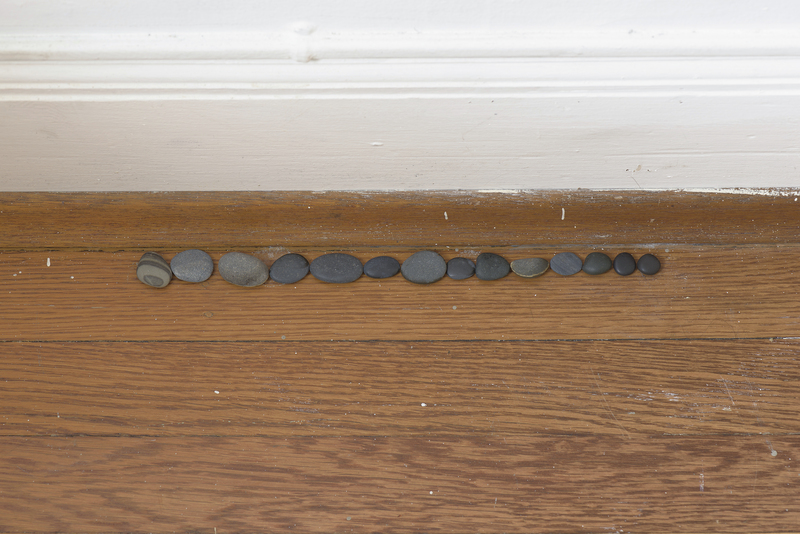 There are artists I was paying homage to, like Vija Celmins repeating the rocks as an action of devotion. Mine were very off-hand, or deliberate to seem off-hand. And then I was thinking of Morandi, whose objects are always just coming into the light. Those all feel like they fit into the idea of the temporary. If I bring them into my studio practice, I’m letting them live even more. That’s an action of wanting something to last. “Ruby Beach Honeymoon Rocks” Found stones. 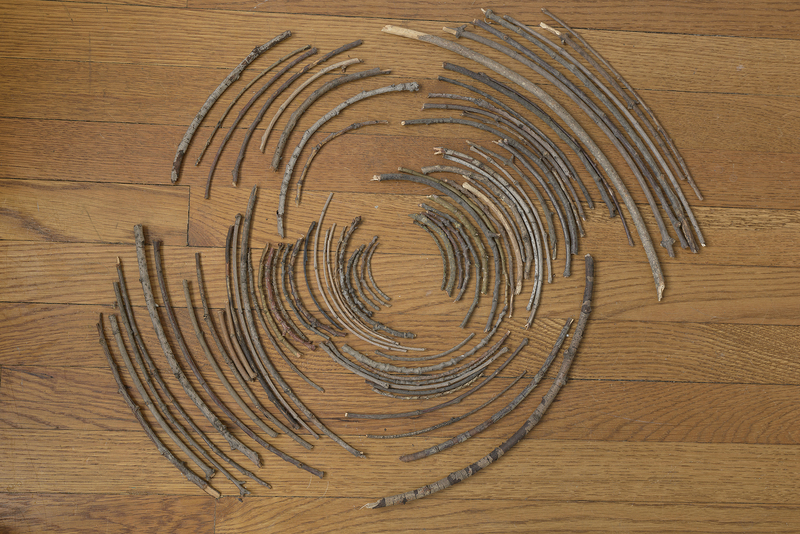 14″ W.
“Ripple Effect.” gathered unaltered, arranged sticks from PNW tree varieties. 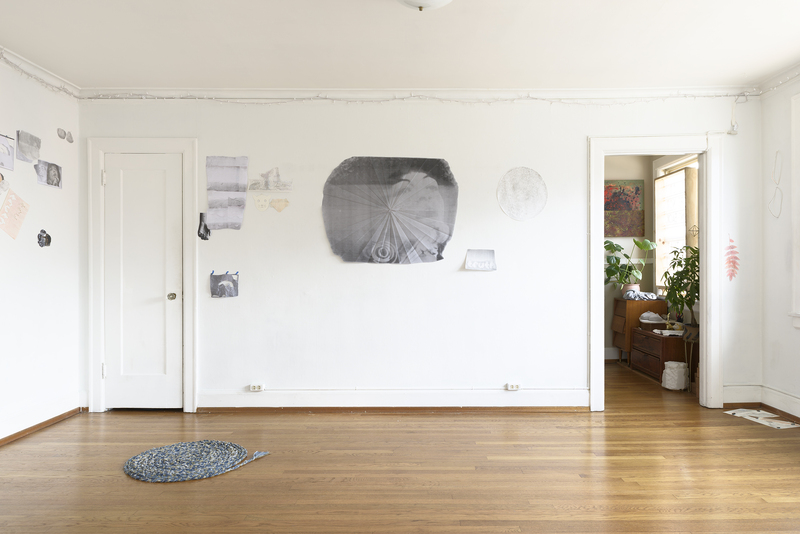 24″ W.
M: In your footnotes, you state “The Angela Davis drawing holds the room, just as it’s been a ballast in my studio. 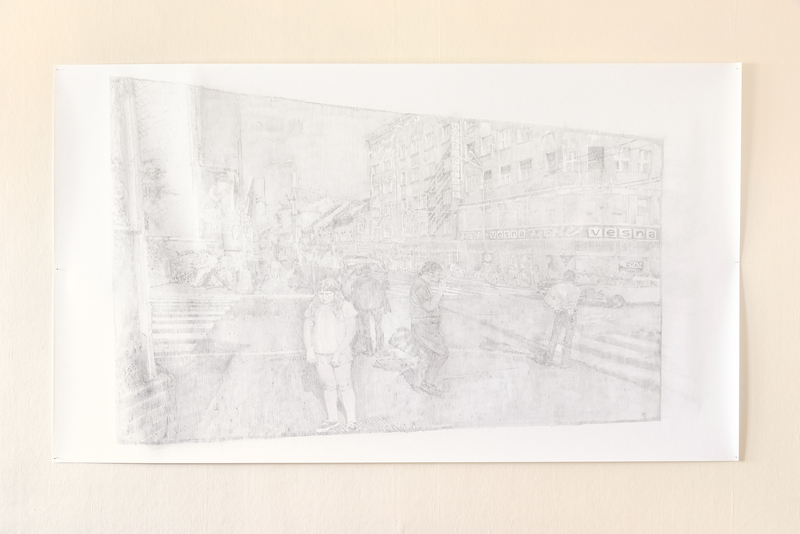 Many of these works are created between the photocopy and I, both of us drawing”. This is a very beautiful and relatable sentiment to me. And feels even more powerful, when standing in the room anchored by the starburst folded Angela Davis drawing, and immediately across the room is the giant, “Vesna is Spring, Venus is Venus” of you as a child, sheepishly front and center in an urban Slovakian landscape. What is the dialogue between the two pieces? G: It started out as a historical fact and alignment of events. I started thinking about a childhood trip that happened in 1972 when I went to Eastern Europe with my family. And I started remembering that I was greatly affected by certain world events, even though not directly. Angela Davis is one of those events, along with the build up to Watergate, the Vietnam war. In that year Angela Davis was freed from jail and taken off Nixon’s most wanted list. And I saw her in the context of European publications, where her image was the only thing legible to me. So that’s where it started. And also because her image is so relevant, but her image and her person are two different things. And, how humbly for me, I have to understand that she’s walking among us. So she’s opposite this photo drawing of me when I was 12, while my self image was just forming. This was when I was forming my cultural and creative sensibilities. M: Your poem, “A blue that keeps moving” accompanies this show. It chronicles the day you broke your knee at the beach, and the spreading of your parents’ ashes. 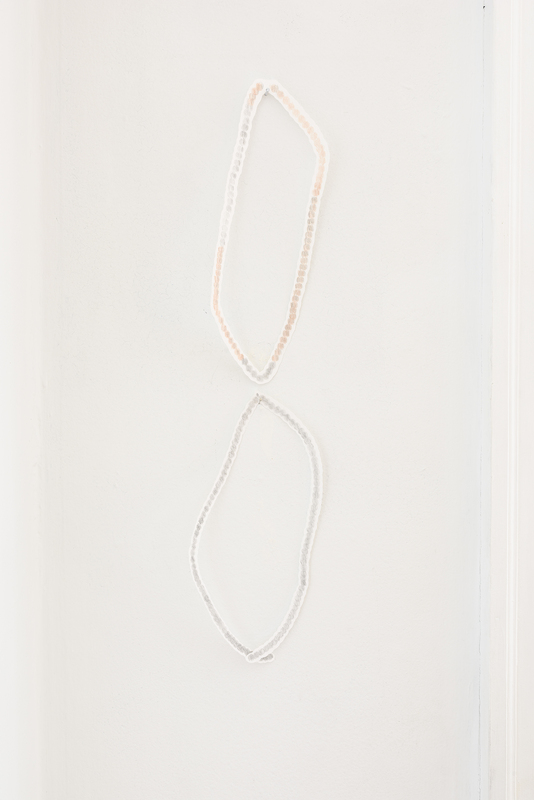 I am reminded of Maggie Carson Romano’s show at Glassbox, with her text recalling her accident in the ocean, and the quiet pieces of her show holding a tremendous gravity as evidence to her survival and recovery after the fact. Do the pieces of this show serve as a kind of “evidence” for you? G: I think it’s interesting to think of it alongside Maggie’s show. A lot of those choices on my part were intuitive and I just trusted that they were poetic both with the objects and with the words; in that way that poetic space is elastic. I think heavy stories sometimes need to be talked about lightly, so that you can talk about them at all…and talk about many things that you might not know you need to talk about. So I approached it in a more meandering way and ended up presenting a constellation of objects up against really substantial words. So I would say that yes these objects are evidence for me, but that they needed to be light. Like talking about the weather, when I really mean my knee. M: It reminds me of the feeling of existing in the reverb of something traumatic happening. You can fixate on something to ease your mind, which makes everything sort of dilate. When my mind is happy I’m not noticing every little thing. But then in the aftermath of a traumatic event, I can obsess over an object, and it could be anything, and then it becomes precious. G: The object becomes a place for memory to reside. 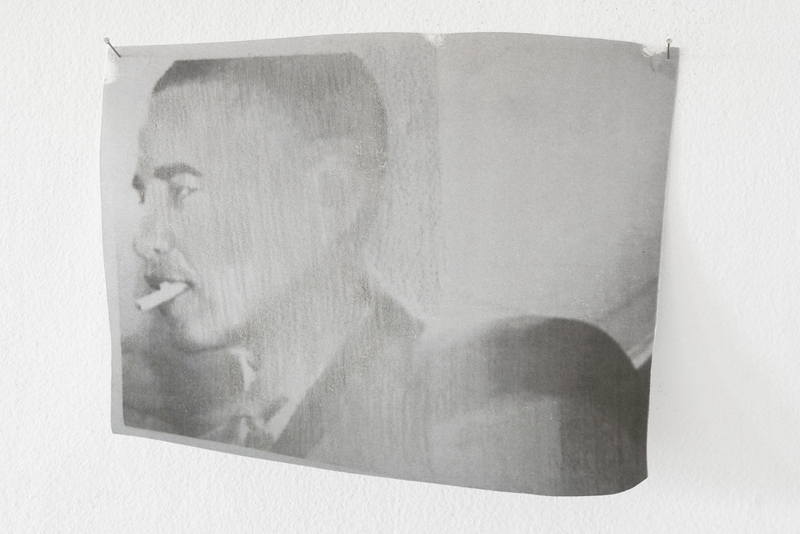 Graphite pencil drawing on Japanese screen paper. 38″H X 72″ W. “Vesna is Spring, Venus is Venus,” a self-portrait, drawn from a 35mm slide of the artist as a 12-year-old on a seminal trip to live in Czechoslovakia. “Windfall Alphabet (extra-lingual version),” which appropriates found fallen twig materials, in this case an extra-lingual fir font, into a human lexicon: from the order of the tree to the order of language, letters, sentence and sign. “Garland” Color pencil drawing on hand-cut paper, tracing objects on the frontier of existence. 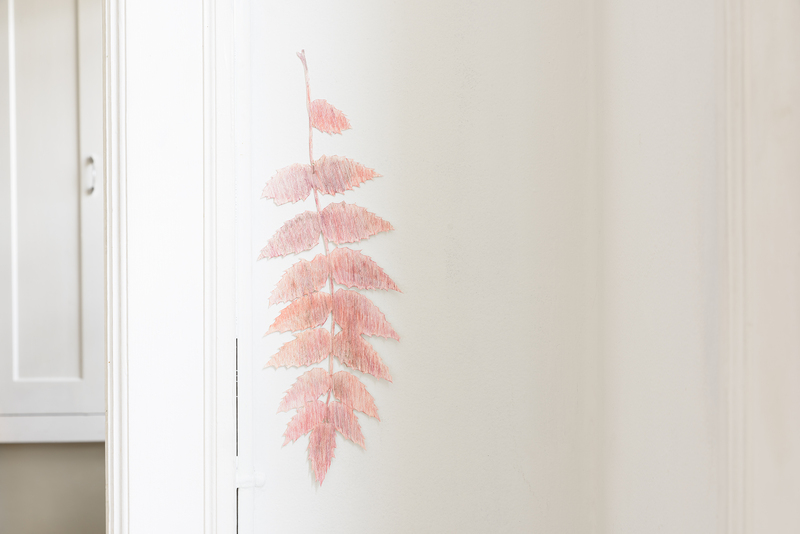 16″ H.
“Oregon Grape” Color pencil drawing on hand-cut paper, tracing objects on the frontier of existence. 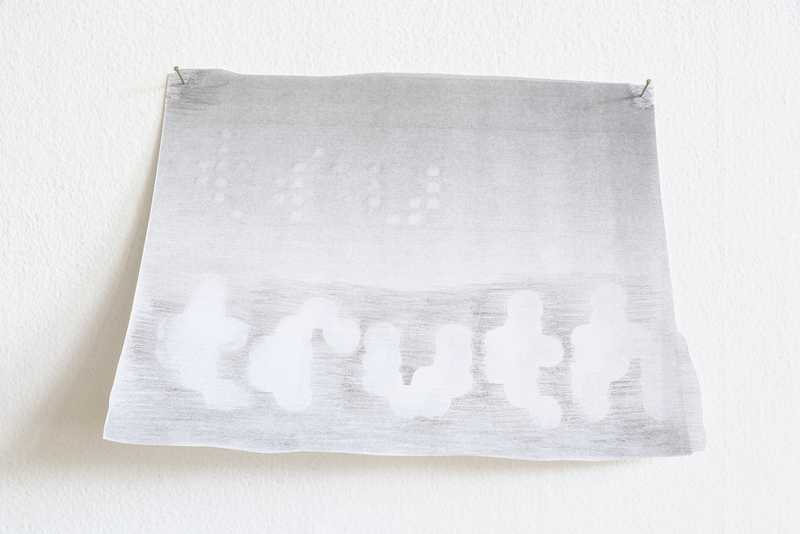 14″ H.
“tru truth” Photocopy and color pencil drawings on paper, tracing objects on the frontier of existence. 11″ W.